City of London planning officers recommend approval for controversial new building by established British architects Foster + Partners. 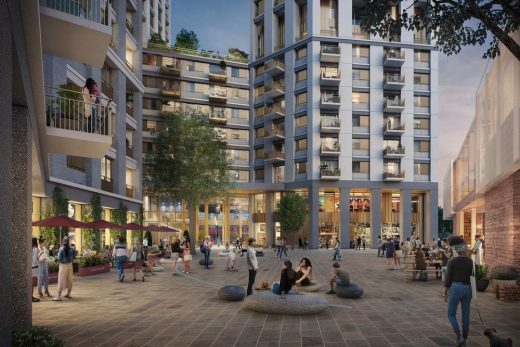 The planning committee is being asked to approve the proposal at 20 Bury Street, in its meeting of April 2nd, 2019. The planned 305-meter-tall tourist attraction has been criticised by the Greater London Authority, Historic England and Historic Palaces, for its design, impact on the views of the Tower of London, and issues such as sufficient access at street level. The report is 152 pages long. 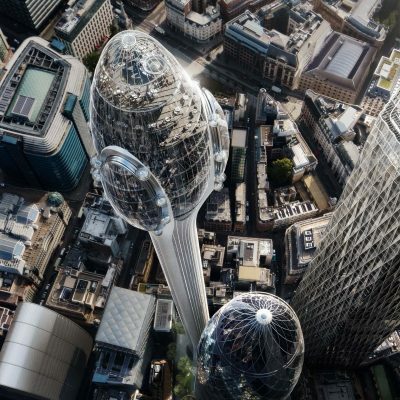 City of London officials responsible for public space have said they cannot support controversial Tulip proposals by Foster + Partners because the ground-level access is insufficient to handle a large amount of visitors. Foster’s scheme for a 305m tall tower – next to his practice’s Gherkin building – has been criticised by heritage groups Historic England and Historic Royal Palaces, which manages the Tower of London, as well as from the Greater London Authority since it was unveiled in November 2018. The City’s own built environment team has criticsed the proposal. 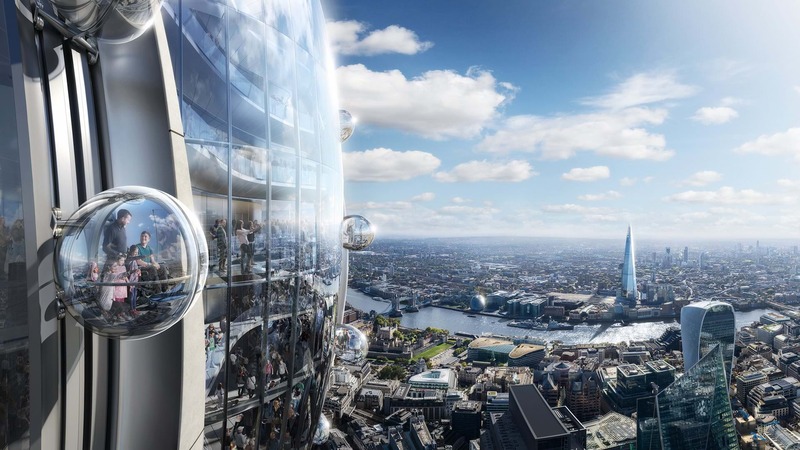 The 305m-high Tulip tower fails to comply with planning guidelines, the London Mayor has said. 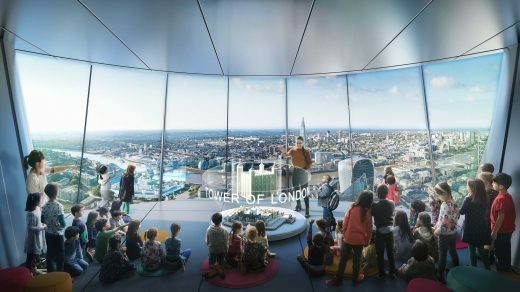 The skyscraper was found to breach the London Plan because it was not free for visitors and would “harm” protected views of the Tower of London. 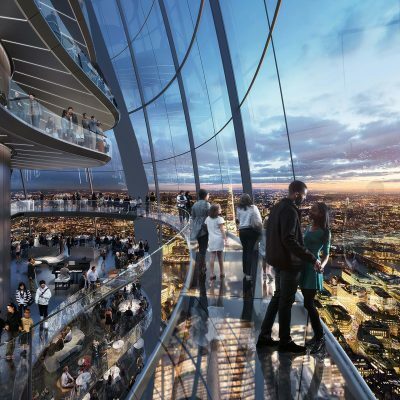 If built, the tourist attraction would be the tallest in the City and feature internal slides and transparent pods. 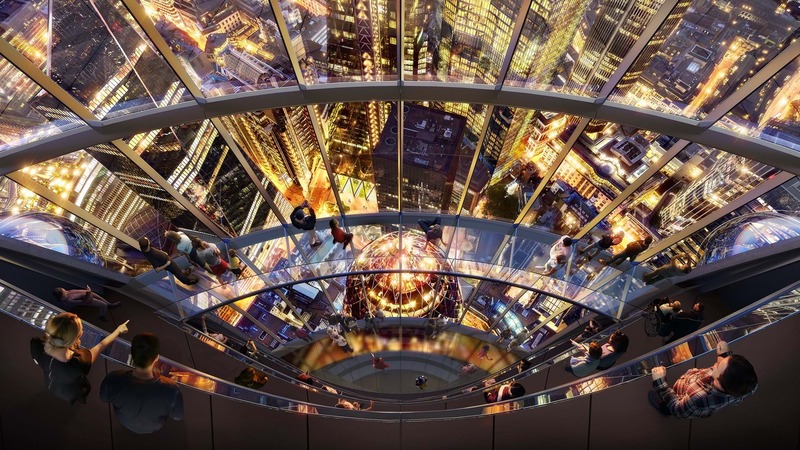 The City of London is due to decide on planning permission for the project. The proposal, created for billionaire Gherkin owner Jacob J Safra, targets tens of thousands of visitors a year. 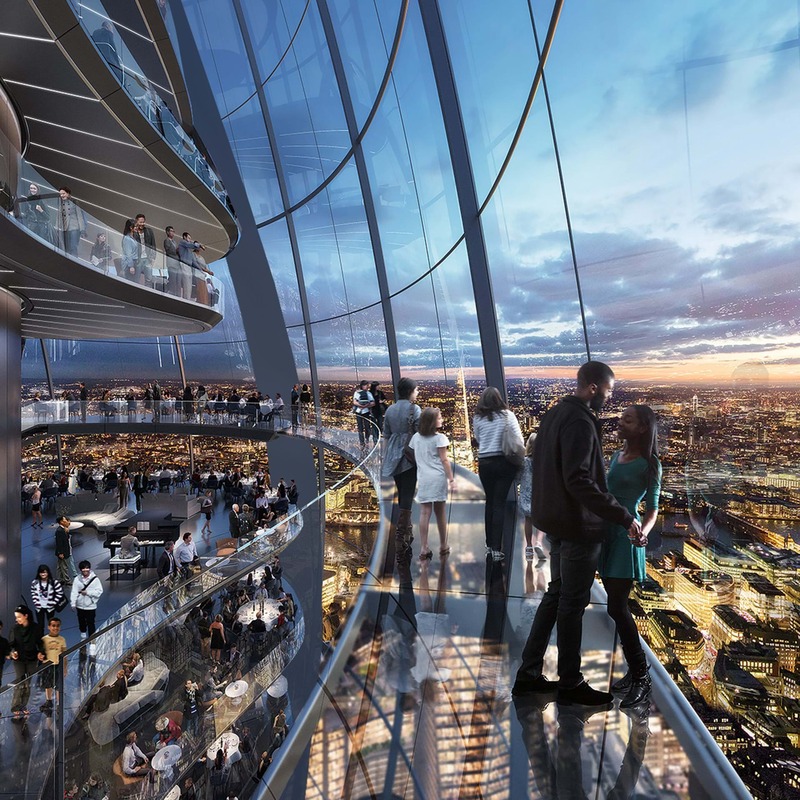 In a 15-page document, Greater London Authority (GLA) planners found the tower failed to follow the London Plan for several reasons. 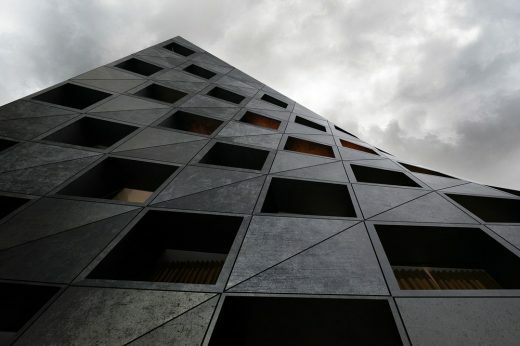 Planners also questioned the “highly distinctive design” saying it would “appear incongruous” in the location, while also calling its height “unjustified”. A planning application was submitted to the City of London Corporation for The Tulip, a new public cultural attraction. The building is sited in the UK capital’s financial district next to 30 St Mary Axe, also known as The Gherkin. The planning submission was formally made in the name of Bury Street Properties (Luxembourg) SARL. 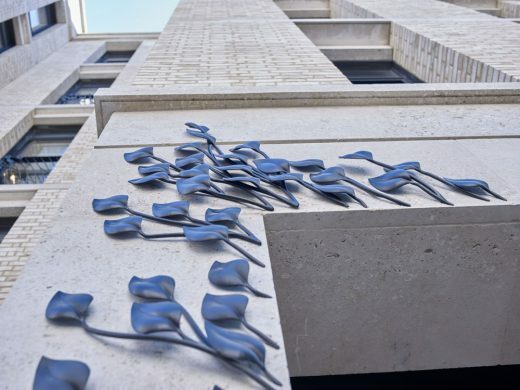 The planning application was submitted to the City of London Corporation on 13 November 2018. 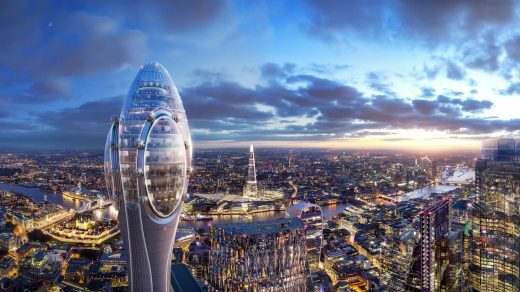 Subject to the planning approval process, construction on The Tulip could begin in 2020 with completion projected for 2025. The J. Safra Group (the “Group”), with total assets under management of over USD 249 billion and aggregate stockholders equity of USD 18.9 billion, is controlled by the Joseph Safra family. The Group consists of privately owned banks under the Safra name and investment holdings in asset based business sectors such as real estate and agribusiness. The Group’s banking interests in over 160 locations globally, are: J. Safra Sarasin, headquartered in Basel, Switzerland; Banco Safra, headquartered in Sao Paulo, Brazil; and Safra National Bank of New York, headquartered in New York City, all independent from one another from a consolidated supervision standpoint. 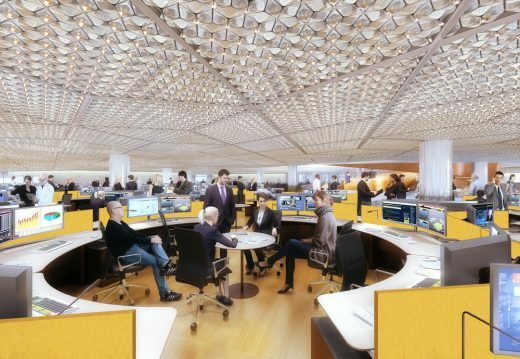 The Group’s real estate holdings consist of more than 200 premier commercial, residential, retail and farmland properties worldwide, such as New York City’s 660 Madison Avenue office complex and London’s iconic Gherkin Building. Its investments in other sectors include, among others, agribusiness holdings in Brazil and Chiquita Brands International Inc. Withe deep relationships in markets worldwide, the Group is able to greatly enhance the value of businesses which are part of it. There are more than 31,000 employees associated with the J. Safra Group.